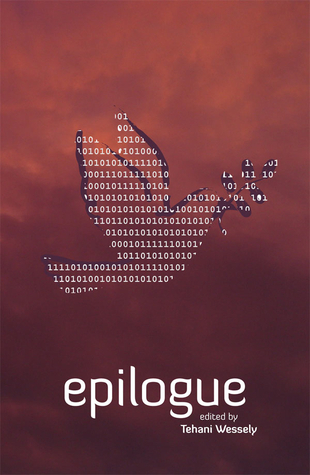 ‘Epilogue’ is the latest anthology published by Fablecroft, and edited by Tehani Wessely. Within, we are welcome to twelve short stories that show us what happens after the end of the world. Here, we have hope. The first story captivates you right from the start, a wonder of world building and depth from a few subtle paragraphs and is easily one of the best short stories I’ve ever read. The anthology continues, taking us on to a world of technological grafting, time travel and the different time streams we become part of depending on a simple answer generating a fork in our path, and on to a time of escape into the life of a journeyman, and how a life can be saved because of it. We also see what computer viruses could be someday, what a dystopian world could demand of us, and how creepy monsters could be, even when they’re family. A race without mobile lips, a female traveller battling snow and more, a drover looking for hope and also how loving books could save you someday. Then we have the immune grave digger. A highly recommended anthology all ’round. Epilogue is highly recommended, and can be ordered here: Fablecroft store. This review was originally posted at SentientOnline on the 1st June 2012.